The cast has been announced for BBC One's new fast-paced contemporary cop show Cuffs; which commenced filming this week. 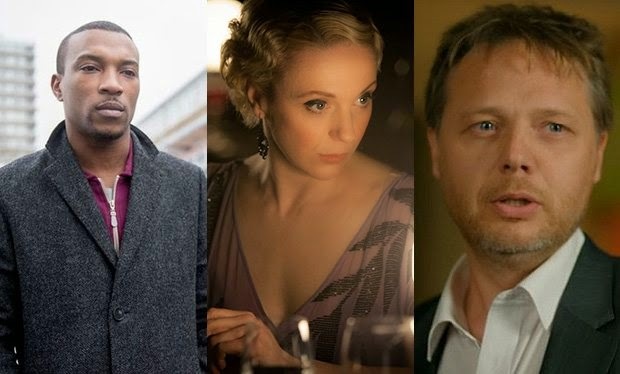 Former Hustle actor Ashley Walters is set to star alongside Mr Selfridge's Amanda Abbington and The Borgias' Peter Sullivan. They're joined by Shaun Dooley, who currently features in car showroom drama Ordinary Lies and recently appeared in Broadchurch. Rounding out the cast are Paul Ready, Eleanor Matsuura and former Hollyoaks and Emmerdale actor Alex Carter. Cuffs is a fresh, authentic and visceral drama that will take the audience on an exhilarating ride through the challenges of front-line policing. Adrenalized and vibrant, the show is packed full of dramatic incidents and colourful characters. From a booby trapped cannabis farm in a suburban semi to an elderly farmer’s wife with a shotgun, the stories are surprising and exciting. There will be more absurd altercations - such as a middle-class dog-napping or fisticuffs between pensioners - as well as the daily grind of speeding drivers, city-centre shoplifters and Saturday night drinkers. Written by Prisoner Wives scribe Julie Gearey Cuffs is packed full of humour and humanity. A character-led drama as well as a police procedural, this is a show where the characters have to deal with everything the job throws at them and where work-based pressures are not left at the station door.